TFWM: What was the concept behind the creation of Community Professional Loudspeakers? Bruce Howze: Community began by designing and manufacturing components for tour sound systems. The late 60’s saw the birth of the tour sound industry as we know it today. Touring groups were filling larger venues, and their music required both high quality and high level sound. During that period I did some on-the-road engineering work with the Jefferson Airplane, and also operated the sound systems for several large festivals. This work enabled me to experience first-hand the speakers that were then available for tour sound use, and they left quite a bit to be desired. Since the tour sound industry was just in its infancy, there were no loudspeakers that had actually been designed for this purpose. The closest things available were speakers designed for cinema applications. Cinema speakers were efficient and made to project over long distances, but they certainly were never intended to be portable. After several months of dealing with these early touring speakers, I decided that I would much prefer to spend my time designing speakers specifically for touring applications, rather than spend my time loading gigantic cinema speakers on and off of a truck several nights a week. Community’s first loudspeaker was a fiberglass midrange horn – interesting on two points. First, it was constructed of molded fiberglass, a material rarely used for horns at that time. Fiberglass seemed to me an ideal material for loudspeaker horns; it could be precisely molded to the shape required by the horn equations, and it was rugged and light-weight. Today fiberglass is widely used as a material for horns, but it was revolutionary in the late 60’s. Community has had almost forty years of experience in molding fiberglass speaker components, and it remains a very important part of our manufacturing processes today. The second interesting point about our first loudspeaker is that it was a midrange horn. All of the early touring loudspeakers were two-way systems, and the primary deficiency that I experienced in their performance was an inability to produce clear, high level midrange output. I have always felt that good midrange performance was essential in any speaker system, and this has remained a basic characteristic of Community speaker systems to this day. In my view, the primary task of a speaker system is communication, and most of the information to be communicated is in the midrange. 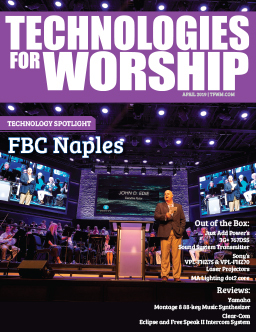 TFWM: Community Professional Loudspeakers controls every aspect of the design, manufacture and testing of loudspeakers in your plant in Chester, PA. What advantages does that give church sound operators thinking of purchasing Community loudspeakers? BH: This sort of control over all aspects of our products is absolutely necessary both in the design process and in the manufacturing process. In design, Community strives to generate unique loudspeakers that directly address the requirements of professional sound systems. The fact that we can design and manufacture the horns, the drivers, the crossovers, and the enclosures gives Community the freedom to create exactly the product required. Once a new design is completed, it is fully tested to insure it meets its design goals. The testing that Community uses to generate product specifications is quite detailed and quite accurate, giving the sound system designer a complete picture of the speaker’s performance, and the confidence that when installed, the speaker will perform exactly as expected. TFWM: What concepts are you trying to refine in loudspeaker design that would be of most interest to the House of Worship market? BH: There are many aspects of professional loudspeakers that are important, such as performance, ease and safety of installation, appearance, cost-effectiveness, etc. Community strives to excel in each of these aspects, but I would say that the key element in all of Community’s loudspeakers is intelligibility. From our first fiberglass midrange horn so many years ago, Community has focused on designs that deliver very clean, clear sound quality. 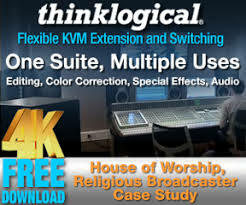 In houses of worship the primary purpose of the sound system is to deliver intelligible sound to every member of the congregation, and Community loudspeakers perform that task quite well. TFWM: Does Community Loudspeakers provide any educational forums or opportunities to learn more about technology? BH: Yes, we have a team of application engineers who provide design assistance and technical assistance on our products. Members of the Technical Applications Group, or “TAG Team” as we like to call them, perform training sessions at trade shows and dealer-sponsored events. 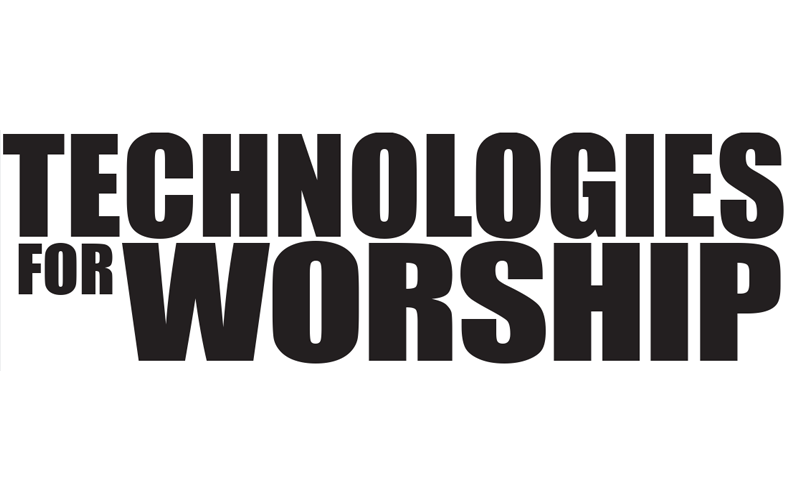 In 2007 we have plans to conduct a sound system design class specifically geared towards House of Worship technicians at several industry trade shows.